Lost car keys for your Toyota, Lexus, Honda, Acura? We are a Local Mobile Locksmith Company in the Portland, OR & Vancouver, WA Metro area ONLY! In order to help with your issue, We must have your Vehicle hand on. 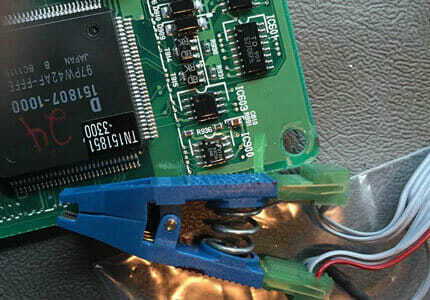 Need to Reflash your ECU for replacement keys? According to some vehicle manufacturers and car dealers, certain models require replacement of the Immobilizer Control Unit (ICU) or Engine Control Unit (ECU) in the case of a lost transponder key. Late 90s to early 2000s Toyota and Lexus models are the most commonly affected by this. The cost of replacing and programming these units are extremely high! 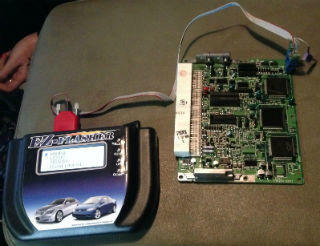 We can Reflash your ECU to add keys. What is Car ECU Reflash? When losing the master transponder key on some vehicle (Lexus/Toyota) there is no interface of making a new key, but reflashing or replacing the ECU. Also if the ignition or the ECU is being replaced on a vehicle a reflash service would be necessary. Reflashing the ECU actually involves electronically deletion of the read only program and download a new one updated map information instead. Typically, when an ECM is re-flashed, a new map is assembled that allows the engine to run better and faster, but can decrease its durability and reliability. What models are affected with Reflash ECU? Locksmith Monkey is here for your automotive locksmith needs. Our highly skilled technicians always stay up to date with today’s advancements in the automotive industry. Mastering car-locking-mechanisms, we are rated the #1 locksmith agency in your area.